Fidget spinners are everywhere these days, but if you’re looking for ultimate performance, there is nothing like the Saturn Spinner, a marvel of engineering that can spin continuously longer than any other fidget spinner on the market – over 12 minutes. 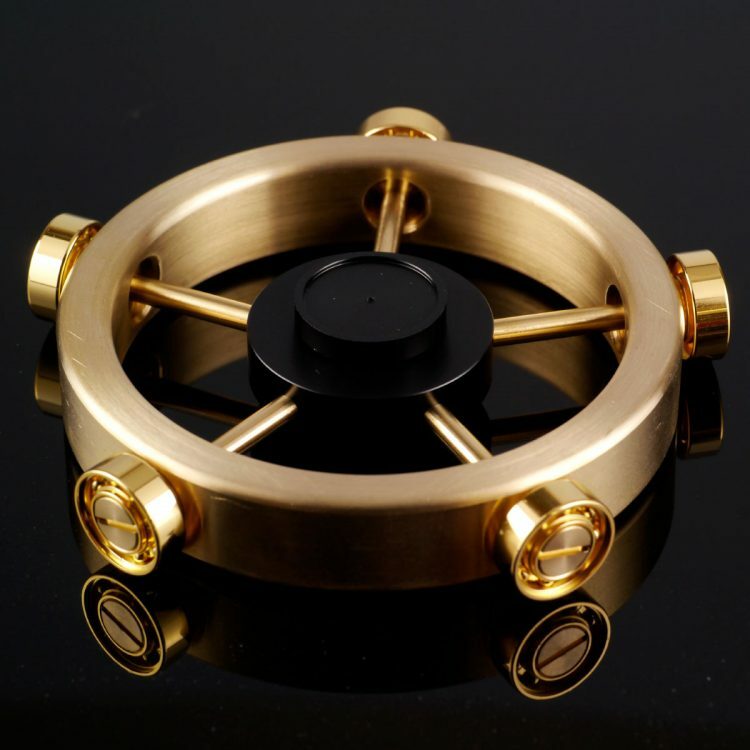 Dubbed the “Rolls Royce of fidget spinners”, the Saturn Spinner was developed by a subsidiary of NSK, a Japanese precision machining company that specializes in ball bearings for satellites and computer drives. It is designed to resemble a ship’s wheel, with added weights on the outer ring and a light aluminium ball bearing in the center, to increase centrifugal force. It was designed to spin continuously for at least 12 minutes, so each manufactured toy is tested for performance, with those that fail to pass the 12-minute threshold being dismantled, cleaned, reassembled and retested until they can be certified as “compliant”. 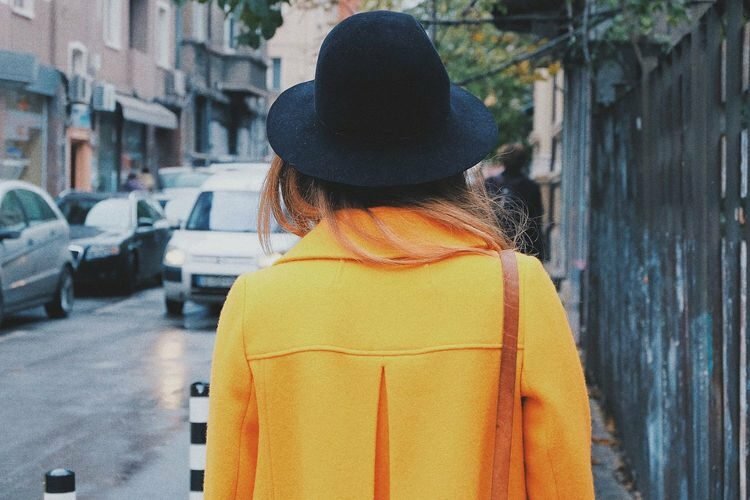 Scientific evidence shows that when a person loses their sense of sight, the other four senses are enhanced, allowing them to be more aware of their surroundings even if they can’t see them. 17-year-old Jeet Trivedi is not blind, but he claims that he doesn’t need his eyes to perform tasks like driving, reading or even passing thread through a needle, after training his other senses to a superhuman level. 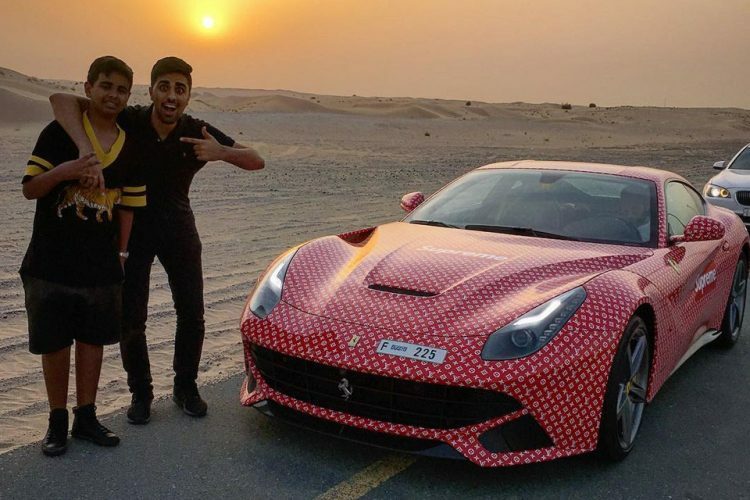 Naresh Kumar, from Muzzafarnagar, northern India, claims that he has a unique gift. 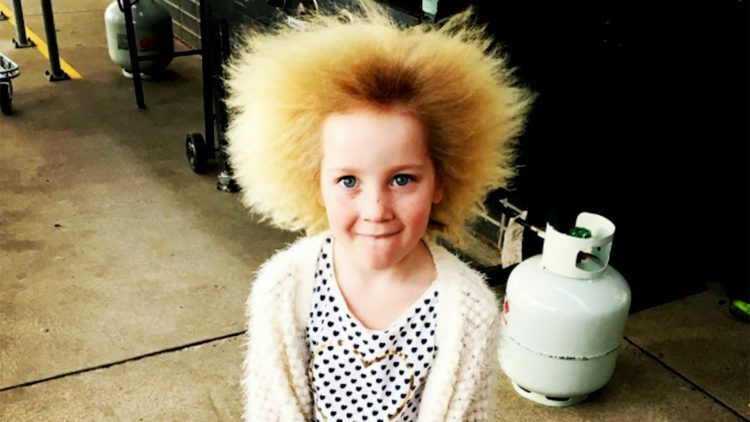 Not only is he naturally insulated against high voltage, but he can allegedly draw energy directly from electricity, so he doesn’t need regular food to survive. 42-year-old Naresh says that he discovered his unusual powers completely by accident. He was at work and touched a live wire, by mistake, but nothing happened. Most people would have probably thanked their lucky stars and vowed to be more careful in the future, but not this guy. 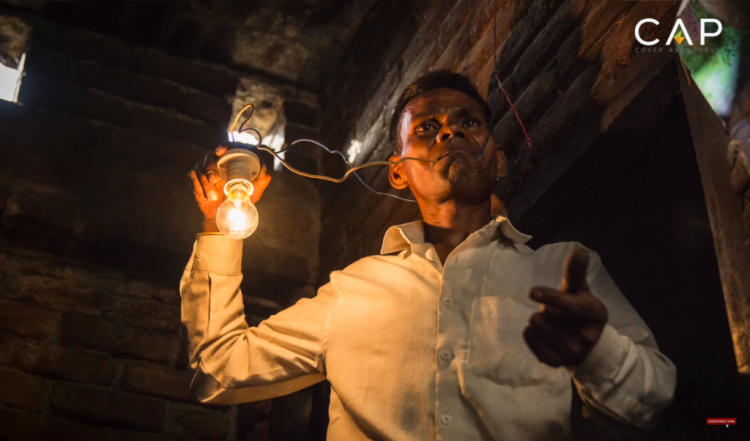 Instead, he decided to explore his “superpower”, by grabbing even more live wires and eventually realized that he could use electricity as an alternative to traditional food. Dr Sarojini Agarwal lost her daughter in a road accident, nearly 40 years ago, but the tragedy inspired her to help other abandoned girls. Since the mid 1980s, the 80-year-old woman has taken in around 800 girls, caring for them and ensuring that they receive a good education, in order to become confident and independent individuals. 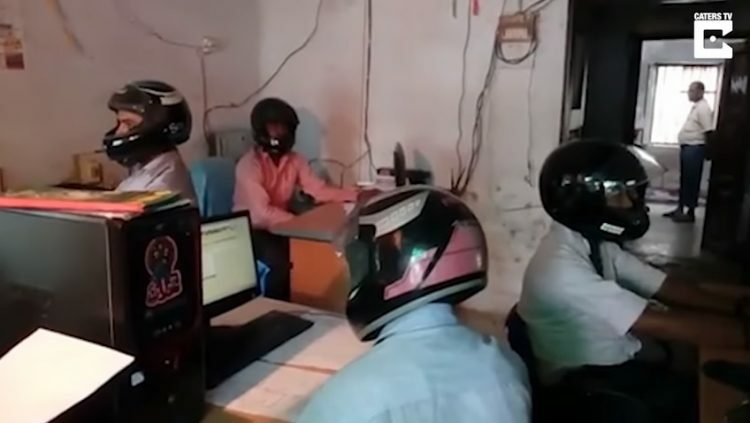 Sarojini was driving a motorcycle on a road near her home in Lucknow, India, with her 8-year-old daughter, Manisha, on the back seat, when they became the victims of a hit and run accident. The mother survived, but her precious Manisha died that day. 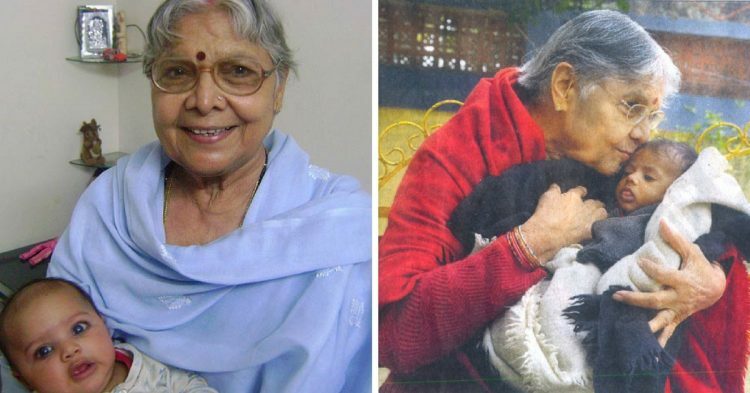 Dr Agarwal spent years morning her loss, and asking herself “why my child”, until one day when she realized that there were so many girls out there in need of motherly love, and helping them would be the best way to honor Manisha’s memory. 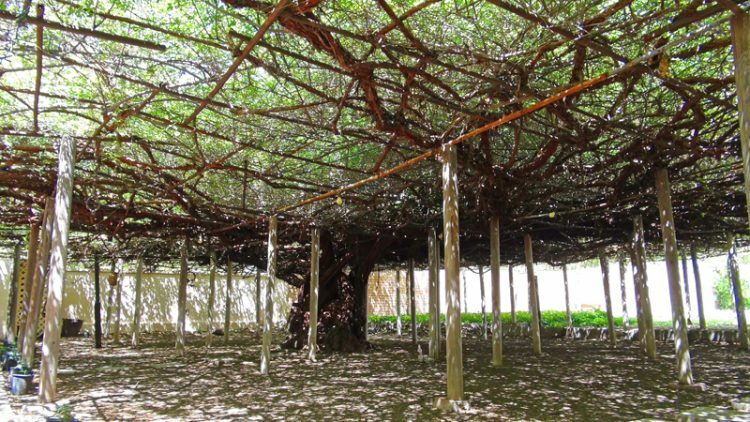 You’ve probably seen some impressive-looking flowers, but unless you’ve been to the Tombstone Rose Tree Museum, you’ve never seen anything quite like the World’s Largest Rose Bush – a gnarled trunk about 12 feet in diameter, with its branches covering 9,000 square feet. It’s been around since 1885, and yes, it still blooms every Spring. The White Lady Banksia Rose found its way to Tombstone, Arizona, from Scotland, over a century ago. In 1884, a young miner by the name of Henry Gee and his bride Mary left Scotland for the United States and settled in the legendary town. Mary felt homesick and after writing to her family about it, she received a box full of plants, bulbs and cuttings from the beautiful garden that she missed so much. As a token of friendship, Mary gifted one of the rose cuttings to a friend she had made in Tombstone, a woman called Amelia Adamson. The two of them planted it near the woodshed in the back patio of Amelia’s boarding house, and not only did the rose flourish in the Arizona desert, it grew into the largest rose bush in the world. 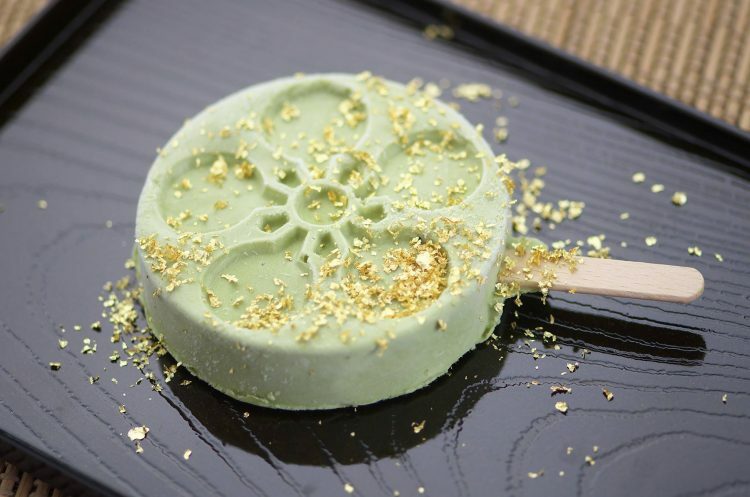 Researchers at the Biotherapy Development Research Center Co. in Kanazawa, Japan, have come with a 100%-natural solution to the age-old problem of melting ice-cream. By using polyphenol found in strawberry, they can keep a popsicle from melting for hours, on a hot summer day. Believe it or not, the secret ingredient for “unmeltable” ice-cream was discovered by mistake. The Kanazawa research center had asked a local pastry chef to create new confectionery using strawberry polyphenol, in an attempt to find new uses for strawberries not good enough to be sold as fresh fruit. However, the chef later reported that that “dairy cream solidified instantly when strawberry polyphenol was added”. That made it redundant in confectionery, but researchers at the center realized that polyphenol could be used to make ice-cream melt a lot slower. 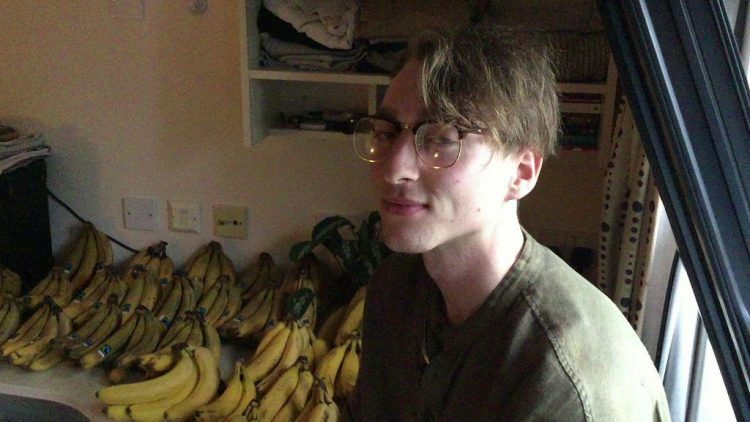 21-year-old Dane Nash, from Bristol, UK, gets around 80% of his daily calorie intake from bananas, consuming up to 150 yellow fruits every week. Despite doctors’ warnings, the young “fruitarian” claims that the banana-heavy diet provides “amazing health, endless energy and fantastic all-round well-being”. Dane embraced the vegan lifestyle two years ago, as a way to solve his acne problem. Before that, he had tried vegetarianism, but after doing some research, he decided that going raw was the way to go. He says that all other species consume raw food for a reason – it’s good for them – but people at one point started cooking various foods, which really isn’t very good for us. For about half a year, Nash has been on a raw-only diet, with only a few slip-ups, like the occasional cooked rice. He gets most of his nutrients from ample quantities of bananas, mixes with lots of spinach and other leafy vegetables, as well as berries. 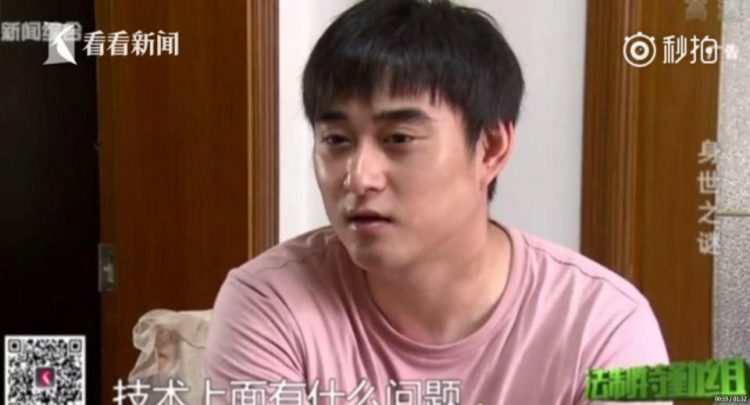 A Chinese mother was left heartbroken after a DNA test showed that the child she had raised for 28 years was not her real son. Her ex-husband became suspicious and demanded the test because he couldn’t understand how the boy had turned out so handsome. The young man’s mother, referred to only as Zhang by Chinese media, said that ever since her son was born, friends and family had always been surprised about how different the child looked, and how handsome he was compared to them. Over the years, all these comments sowed the seeds of doubt in her husband’s mind, and affected their marriage. All the arguments about their son being “too good looking” eventually ended in a divorce, but that wasn’t enough to lay the man’s suspicions to rest. Would You Let This 12-Year-Old Tattoo Artist Ink You? At an age when most kids keep their hands busy with video game controllers, smartphones or tablets, 12-year-old Ezrah Dormon, from Panama City, is already a popular tattoo artist. Despite his young age, people are lining up to have him ink a permanent tattoo into their skin. 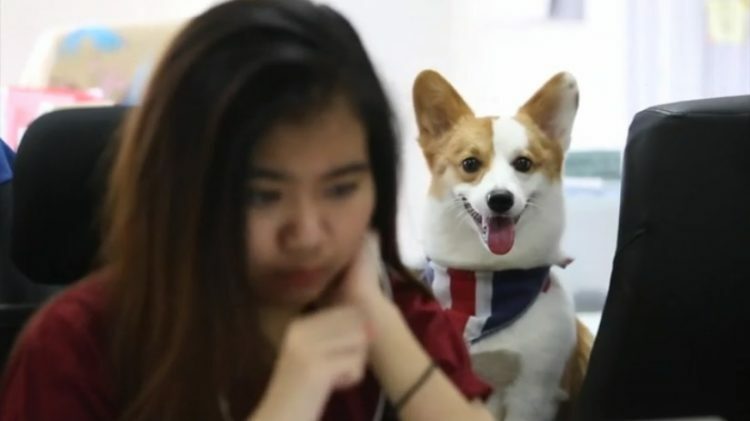 Tattoo parlors are usually off-limits to kids, but walk into the Honolulu tattoo shop in Panama City, and you may see a cute long-haired kid painstakingly working on a client’s tattoo or honing his inking skills on a grapefruit. His name is Ezrah, and he is already one of the most in-demand artists in Panama. I don’t know what it is about getting tattooed by an inexperienced child, but people are reportedly lining up to have him work his magic on them. They’ve all been pleased with his work, too. The Nossa Senhora da Consolação church, in downtown Sao Paolo, Brazil, used to have a serious pigeon problem. The pesky birds would fly through the place during sermons, poop on the benches and leave feathers everywhere, but ever since they had these colored circle panels installed in the windows and doorways, no pigeon gets close anymore. 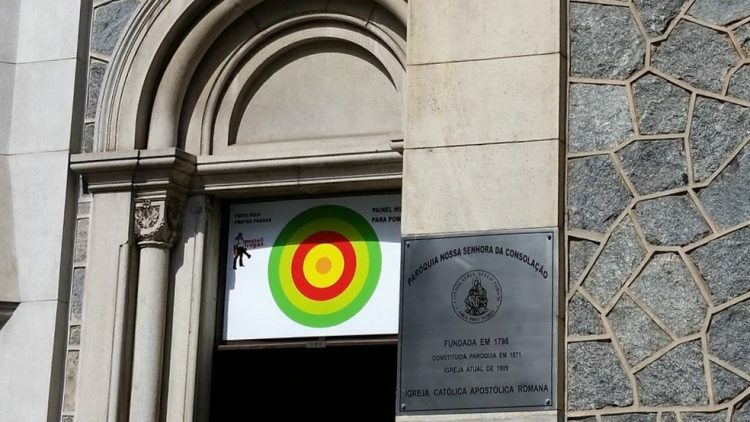 Regular parishioners at Nossa Senhora da Consolação describe the pigeon situation as a “real hell”. Dozens of birds had made the place of worship their home, flying in and out whenever they pleased, making a lot noise during mass and dropping stones and bits of plaster on people. Every morning, the floor and wooden benches had to be cleaned of bird droppings, and at one point it all became too much to bear. The church wanted to find a humane way of driving the pigeons away, but they never imagined hypnosis would be the answer.